So here we are again…posting away in the wee hours of the morning…when we should be considering sleep…something tells me this is going to become a pattern. Oh well, such is college life. As this is only the second post, you still are most likely unfamiliar with me, what I am interested in, and what you are likely to see here on the blog. I thought I would share a few things. One of my favorite things to enjoy are the good ol’ outdoors. 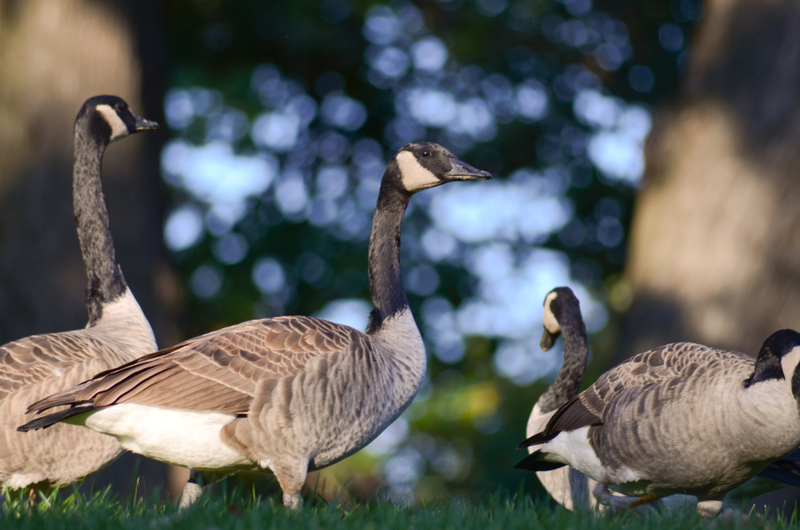 Take these geese for example: minding their own business, unless you get ANYWHERE near them, at which time they become hissing monsters. But I digress. At least from afar they are nice to look at! I also enjoy dancing. I was a part of a dance studio for two years and really came to love it. Of the styles I worked with, I came to like swing, contemporary, and tap the best. Tap was difficult for me; I was not able to pick it up right away but the challenge really made me like it that much more! The last feature isn’t really so much of an activity as much as it is a style. High-Dynamic-Range (HDR) photography has become a tricky hobby for me. It involves not only taking a great photograph to begin with but also being a beast at post-processing to combine 3 identical images with different exposures to create a photo that looks amazing! It has several forms such as photo-realistic, surrealistic, and hyper-realistic….all of which are a different arts for different tastes of photography. Those are just a few of the things that I like. There will be many more to come, but that’s a start!